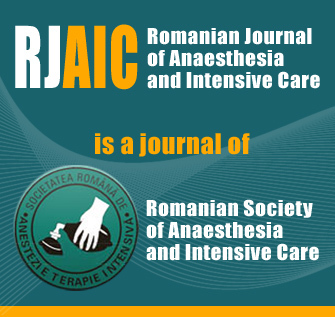 Purpose: The aim of this study was to compare patient-controlled epidural analgesia (PCEA) versus conventional opioid intravenous (IV) infusion after gastrointestinal cancer surgery regarding several postsurgery parameters of recovery. Methods: One hundred and one patients were prospectively randomized to receive either thoracic/lumbar PCEA (PCEA group) or the standard analgesia technique used in our hospital, conventional IV infusion of morphine (IVMO group) after gastrointestinal cancer surgery. Pain intensity, time of mobilization and bowel function recovery were analyzed post-surgery. We also evaluated postoperative complications and length of Postoperative-Intermediate Intensive Care Unit (PI-ICU) stay and hospital stay. Results: Pain intensity was significantly less in the PCEA group in comparison with the IVMO Group at awakening 2, 8, 24, 30 and 48 hours after surgery (p <0.001, p <0.001, p <0.001, p = 0.043, p = 0.036, and p = 0.029, respectively). The latency to bedside mobilization, walking, first postoperative flatus and apparition of first stool were significantly faster (1.74 versus 2.26 days, 3.06 versus 3.78 days, 2.1 versus 3.14 days and 3.73 versus 5.28 days, respectively) in the PCEA group than in the IVMO group (p <0.001, p <0.001, p <0.001, and p <0.001, respectively). The incidence of nausea/vomiting was significantly lower in the PCEA group in comparison with the IVMO group (p = 0.001). Surgical-associated complications were significantly lower in the IVMO Group than in the PCEA group (p = 0.023). Length of PI-ICU stay was similar in the two groups but length of hospital stay was significantly shorter in PCEA group (4 versus 5 days p = 0.2849, 9 versus 12 days; p <0.001). Conclusions: PCEA provides better postoperative pain control, improves postoperative recovery after gastrointestinal cancer surgery compared with conventional intravenous morphine infusion. Therefore, it is more acceptable than conventional pain management.